Marc Marquez leads a much-improved Jorge Lorenzo and Andrea Iannone in an ultra competitive FP3 in Argentina; one second covers the top 14 riders. Marc Marquez topped a cooler MotoGP third free practice session in Termas de Rio Hondo as both Jorge Lorenzo and Andrea Iannone, notable strugglers on Friday, climbed the order to sit second and third. Track temperatures were some 20 degrees Celsius down on Friday afternoon, and with added rubber laid down on the track surface, Marquez’s fastest time was 1.2 seconds up on his Friday best. 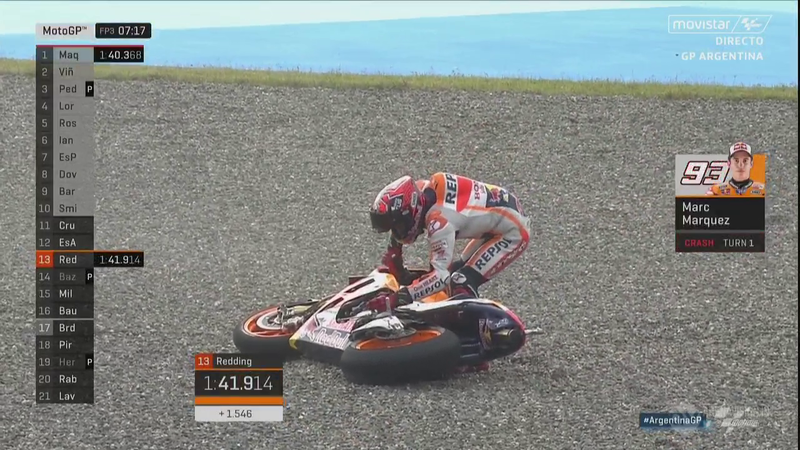 Often out-of-shape, Marquez was on the ragged edge through the majority of the session, his all-action style culminating in a late fall at turn one, from which he walked away. 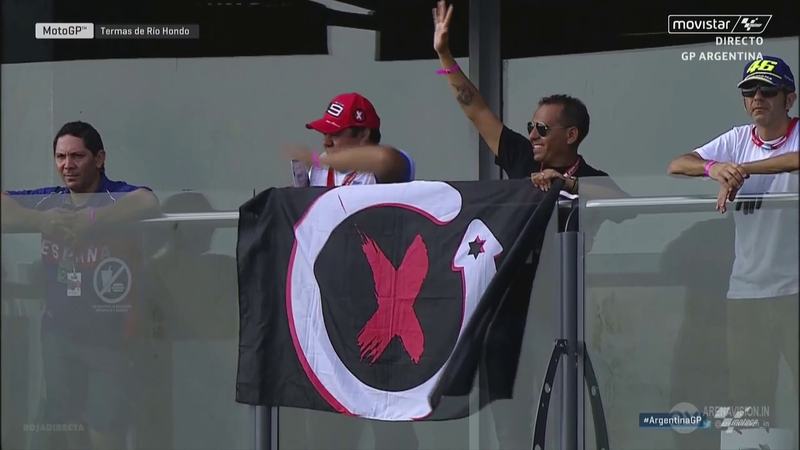 Lorenzo was the most notable improver and the only other man to get within a quarter of a second of Marquez’s fastest lap. Reigning world champion Lorenzo knocked a full 2.5s off his Friday time to sit just 0.024s behind his countryman at the close of the 45 minutes, suggesting he had found some of that front end grip that was so sorely lacking on day one. Another considerable improver, Iannone ended the session 0.373s off top spot. Struggling for set-up direction on Friday, the Italian was a distant 15th in FP2 but he too found 2.2s overnight to underline his potential going into qualifying. 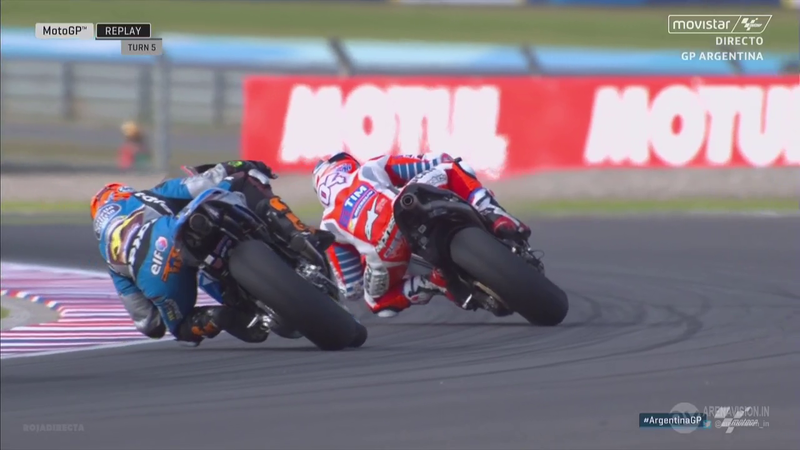 From Iannone onwards, times were incredibly close, with Scott Redding in 17th lapping less than a second slower than the leading Ducati man. 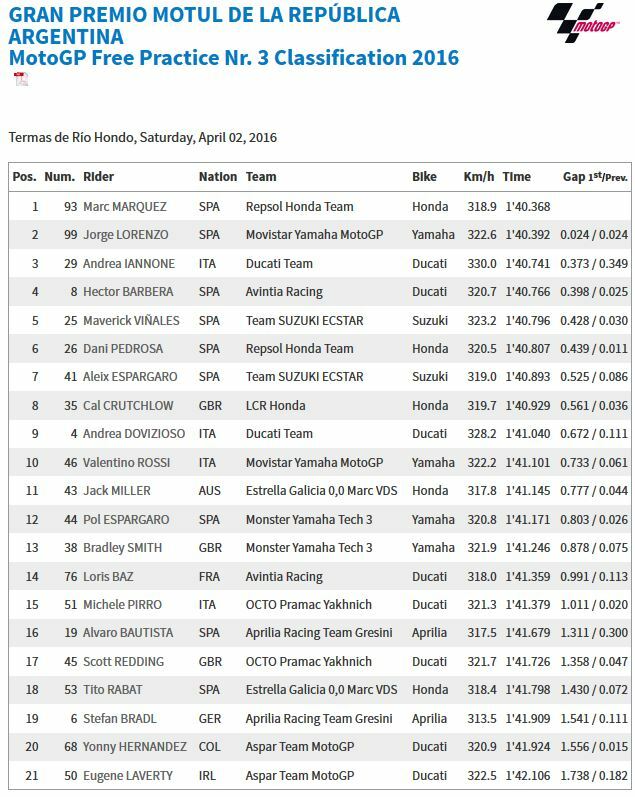 Indeed, one second covered the top 14 riders, indicating the afternoon qualifying session should be incredibly close. Hector Barbera was seemingly unfazed by a severe bout of flu as he ended the session in fourth (+0.398s), with Maverick Viñales (+0.428s) and Dani Pedrosa (+0.439s) close behind. Aleix Espargaro confirmed his positive feelings from Friday by placing seventh as Cal Crutchlow was eighth and Andrea Dovizioso ninth. Valentino Rossi just made the cut to automatically enter Q2 with the tenth fastest time. The results mean names like Jack Miller (eleventh), Pol Espargaro (twelfth), Bradley Smith (13th) and Redding (17th) will all enter Q1.